It can get annoying when you become a famous pin start on the new social media, that is Pinterest. The new social media fire has rapidly taken over the online world and has gained attention of many. Pictures are always better than thousands of words and thats what makes them viral. Its fun to see your pins getting viral to on Pinterest but imagine if your pictures are repined hundreds and hundreds of times? 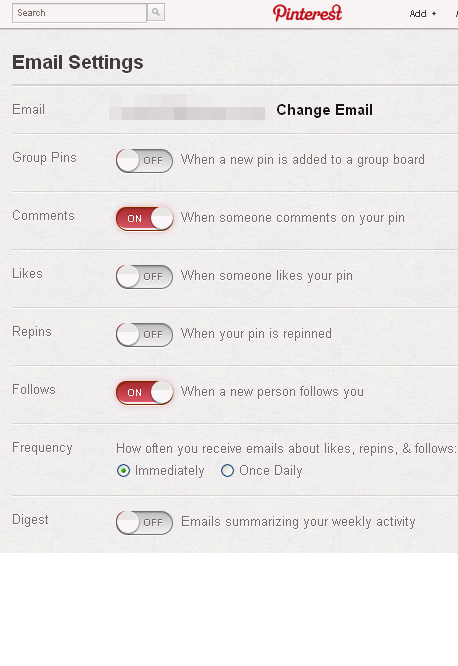 You inbox would get messy with the repin notification emails from Pinterest and for me at least, thats super annoying! So lets take a look at the quick steps below that would help you to stop Pinterest email notifications in 3 short steps. Click your image (top-right corner), once you're loged in. It would show up a drop down style menu. Click Settings. Now once you're in the email notifications settings menu, you can select from a bunch of notifications settings. Turn off the option that says 'When your pin is repined'. Thats all! 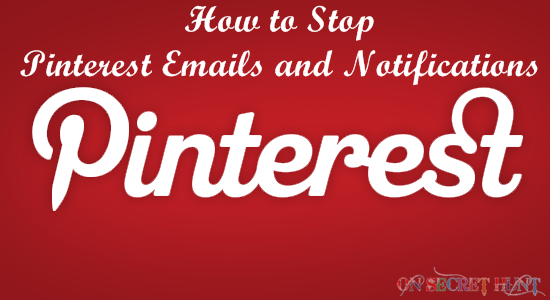 You're now safe from Pinterest viral notifications. Cheers!